If you have dipped your toes into positive psychology, you have likely discovered one of the more popular and potentially life-changing topics within the field: mindfulness. It’s a topic that has grown in interest and potential over the last few decades, and it’s even gone “mainstream” (e.g., turned up on a national news broadcast, was the topic of some best-selling books, etc.)! If you’ve heard about mindfulness but don’t really get what all the fuss is about, this article is a great place to start learning. Read on to find out what mindfulness is (and isn’t), how it’s connected to positive psychology, and why you should care about it. Mindfulness and Positive Psychology: What are the Links? Research on Mindfulness in Psychology: When is Mindfulness a Bad Idea? 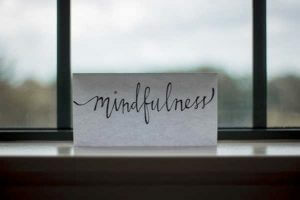 To take that definition a bit further, mindfulness requires a nonjudgmental acknowledgement and acceptance of our thoughts and feelings; acknowledging our feelings but judging them (e.g., providing a value judgment like “I shouldn’t be thinking that” or “That’s a bad thought to have”) would not qualify as practicing mindfulness. You may also hear the term “mindfulness-based meditation” when diving into the world of mindfulness and positive psychology. If you’re wondering what the difference is between mindfulness and mindfulness-based meditation, there really isn’t much of one! “Mindfulness” is often used when referring to a general attempt to incorporate more mindfulness into one’s life, whereas “mindfulness-based meditation” usually refers to the type of practice that is seen as the stereotypical meditation—sitting cross-legged with closed eyes while engaged in a meditation practice for a period of time. Generally, mindfulness and mindfulness meditation refer to the same concept: staying open and aware of your own inner workings and allowing your thoughts and feelings to happen without judgment. 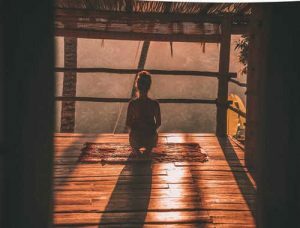 The only distinction between the two is that mindfulness meditation has the connotation of being a more time-constrained practice (e.g., you devote 10 minutes per day to it rather than practicing it throughout the day). A question that is frequently asked about mindfulness is whether it’s a state or a trait. This question likely doesn’t mean much for the average practitioner, but the answer is actually significant for anyone who dabbles in mindfulness. If it’s a trait or strength, it’s something that is more inherent, more permanent, and less changeable; if it’s closer to a state than a trait, it’s more temporary, fleeting, and easier to influence. The debate still rages, but we do know that mindfulness is certainly not entirely on the trait side; studies have shown that we can enhance our mindfulness through concerted effort and training (Carlson, 2013). However, we also know that mindfulness is correlated with our strengths, so we probably can’t say that it’s entirely on the state side either (Masicampo & Baumeister, 2007). “the moment-to-moment lucid awareness of whatever arises in the mind” (Sharf, 2014). Dr. Jon Kabat-Zinn is considered the “founding father” of the U.S.-based mindfulness trend. He was introduced to mindfulness through his exploration of Buddhist philosophy in his college days, which he then incorporated into his practice as a professor of medicine at the University of Massachusetts Medical School. He founded the Stress Reduction Clinic at the UM medical school in 1979, where he developed the program that is known today as Mindfulness-Based Stress Reduction (MBSR) (Shea, 2018). Since then, mindfulness has grown in popularity and is increasingly the subject of studies on ways to reduce stress, increase positivity, and increase quality of life. Find “micro-moments” of mindfulness throughout the day to reset your focus and sense of purpose (Greater Good Science Center). Mindfulness is an excellent way to practice self-care, which makes it a great tool that helping professionals can share with their clients to encourage healing, growth, and healthy habits outside of the one-hour office visits. If a client asks for a recommendation on how long or how frequently they should practice mindfulness, you can tell them there’s no harm in practicing as often as they’d like, but that committing to even the shortest of practices (e.g., 5 minutes a day) can have significant impacts on their life. According to Richie Davidson, one of the world’s most renowned contemplative neuroscientists, even 1.5 hours of mindfulness practice can lead to positive structural changes in the brain. Mindfulness has been a staple of positive psychology, going all the way back to the foundation of the field. 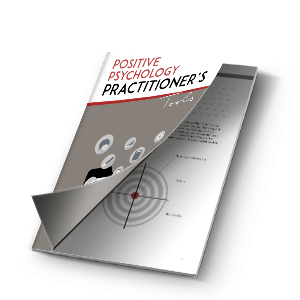 It is not so much linked to positive psychology as it is interwoven into its very fabric. The close ties between mindfulness and positive psychology make sense when you consider the outcomes of mindfulness: increased positivity, a greater sense of coherence, better quality of life, more empathy, more satisfying relationships, and greater hope (Vago & Silbersweig, 2012). Mindfulness is a multi-tool in positive psychology—a helpful technique that has multiple uses and is effective in a wide range of contexts. As a self-care tool for anyone who is interested—mindfulness can be practiced by anyone, anywhere, anytime! As a stress reduction technique for students, people in high-stress jobs, and anyone dealing with anxiety. As a way to boost employee wellness. As a therapeutic tool for people struggling with depression or other mood disorders. As a coping method and relaxation strategy. In conjunction with yoga as a healthy habit for body and mind. There are many positive outcomes that result from developing and practicing mindfulness. Below are 7 of the most positive and significant benefits of mindfulness. The concept of self-regulation is somewhat paradoxical in that regulation—in the strictest sense of the word—is not really considered being mindful; rather, mindfulness is a state that is characterized by introspection, openness, reflection, and self-acceptance. The research is clear on one of the main outcomes of practicing mindfulness: there has been strong evidence coming out recently that demonstrates that mindfulness is significantly correlated with positive affect, life satisfaction, and overall well-being (Seear & Vella-Brodrick, 2012; Sin & Lyubomirsky, 2009). Mindfulness itself, however, is not a new concept; it has existed in Buddhism for over two thousand years. Modern day research has made several interesting findings suggesting this ‘enhanced self-awareness’ diminishes stress and anxiety and, in turn, reduces the risk of developing cancer, disease, and psychopathology. It is useful to practice mindfulness in positive psychology as a tool for general physical and mental health. A self-report study conducted at the University of North Carolina measured the level of discrimination experienced by participants as well as the presence and—if present—severity of their depressive symptoms (Brown-Iannuzzi, Adair, Payne, Richman, & Fredrickson, 2014). Participants also completed a questionnaire that measured their level of mindfulness as a trait or strength, which is characterized by a tendency toward conscious awareness of the present. The results showed that, as expected, the more discrimination participants experienced, the more depressive symptoms they had. It was also found that the more mindful people were, the less depressed they were. Finally, and most importantly, the findings suggested that mindfulness might be a protective factor that mitigates the effects of discrimination on the development of depressive symptoms. In other words, although discrimination was associated with depressive symptoms, the association became much weaker as mindfulness increased. According to studies like this one, it appears that practicing mindfulness may be an effective method of preventing the onset of depression. Mindfulness and strengths have been deeply intertwined for thousands of years. In Buddhism, mindfulness meditation is not only an effective method of relieving suffering, it is also a way to cultivate positive characteristics and strengths such as compassion, wisdom, and well-being. According to research by Bishop and colleagues (2004), experiencing mindfulness begins with making a commitment to maintain curiosity about the mind wandering and looking at differences in other objects. Other research (Ivtzan, Gardner & Smailova, 2011) found that curiosity is one of the strengths that is correlated to living a satisfied, meaningful, and engaging life. According to a study by Niemiec, Rashid & Spinella (2012), transcendence strengths can become more meaningful in mindfulness practice as they connect mindfulness with spiritual meaning. In addition, during the practice of mindfulness, people may face both internal and external obstacles including boredom, a wandering mind, physical discomfort, and difficulty in staying committed to the practice, and it requires a not-insignificant strength of courage and perseverance to overcome these obstacles and keep going. “Mindfulness opens a door of awareness to who we are and character strengths are what is behind the door since character strengths are who we are at core” (Niemiec, 2014). Mindfulness can also help you make better use of your strengths; think about it—how effectively can you pursue your goals if you don’t really pay attention to your own inner workings? Pursuing—and achieving—one’s goals requires attention to be paid to inner states, thoughts, feelings, and behaviors (Brown, Ryan & Creswell, 2007). Therefore, to be able to see your strength, you need to have access to your inner state of mind. To access your strengths and your true self, mindfulness is the path. Research by Carlson (20013) showed that we have many blind spots, including what is known as the information barrier and the motivation barrier. The information barrier is a barrier that is caused by a lack of information—or a lack of good information. The motivation barrier is what happens when we get in our own way—we may have the right information on hand, but unconsciously reject the accuracy or existence of that information (Brogaard, 2015). Mindfulness can help us move past these two barriers. It can also decrease the bias we have towards ourselves since practicing mindfulness can reduce the defensiveness of your ego as you start to have more reality-based thoughts. The term neuroplasticity refers to structural and functional changes in the brain related to experience. It has been known for some time that musical training and language learning promote structural changes in our brain and cognitive abilities. It turns out that the same is true for mindfulness! Mindful awareness is a form of experience that changes not only structure, but also the function of our brain throughout our lives. Mindfulness can be thought of as a mental muscle. Every time we lift weight, we strengthen the muscle we are working on. 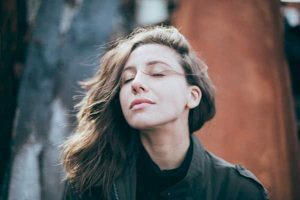 In the same way, every time we pay attention to the present moment without judgment or attempts to control, self-regulation and compassion-related brain areas flourish. Our brain is divided into two hemispheres: the left hemisphere and the right hemisphere. We know that the right prefrontal cortex (the front-most part of the brain that controls higher functions) is highly active when we are in a depressed, anxious mood. On the other hand, our brain has high activity in the left prefrontal cortex when we are happy and energetic. This ratio of left-to-right activity shows our happiness set-point throughout daily activities. So, what happens to this ratio when we practice mindfulness meditation? The research of Richard Davidson and Jon Kabat-Zinn shows that a simple 8-week course of 1-hour daily mindfulness practice led to significant increases in left-sided activation in the brain—an increase that is maintained even after 4 months of the training program (Davidson et al., 2003). To sum up, this finding demonstrates that short-term mindfulness practice increases our happiness level significantly, all the way down to the physical level. In the most basic terms, resilience refers to an individual’s ability to recover from setbacks and adapt well to change. The little corner of our brain that is relevant to resilience is a region called the anterior cingulate cortex (ACC), which is located deep in the center of the brain. The ACC plays an important role in self-regulation and learning from the past experience to promote optimal decision-making. The research findings of Tang and his colleagues show that mindfulness training groups that completed 3-hour mindfulness practice session have higher activity in ACC and also show higher performance on the tests of self-regulation and resisting distractors, compared to the control group (Tang et al., 2007; 2009). This means that with just a small commitment to practicing mindfulness, we can change the way our brain reacts to setbacks and improve our ability to make smart decisions. Have you ever experienced a rough patch in which you rush through your day-to-day life with sweaty palms and anxiety, perhaps even struggling to sleep at night? Every time we get stressed, a little part of our brain called the amygdala takes control. The amygdala is a key stress-responding region in our brain and plays an important role in helping us cope with anxious situations. It’s a well-known fact that high amygdala activity is associated with depression and anxiety disorders (Siegle et al., 2002). The good news is that mindfulness practice can actually shrink the size of the amygdala and increase our stress reactivity threshold. Recent research performed by Taren and colleagues showed a connection between long-term mindfulness practice and an amygdala that is decreased (Taren et al., 2013). By practicing mindfulness, we can change how we react to stressful situations and improve our mental and physical well-being. It may not be fair to say that mindfulness is ever a bad idea, but the benefits may have been overstated and the disadvantages—as few as there are—shrugged off (Dholakia, 2016). A slight decrease in the ability to discern what is real and what is not, leading to the possibility of false memories (Wilson, Mickes, Stolarz-Fantino, Evrard, & Pantino, 2015). The potential for discarding thoughts that are helpful, positive, or important in some other way (Briñol, Gascó, Petty, & Horcajo, 2012). The potential for an avoidance of challenging problems and critical thinking, turning to mindfulness meditation instead of working out a solution (Brendel, 2015). Surprisingly, there are many negative side effects (and some negative direct effects) that have been reported. They are rare, but still real possibilities for practitioners of mindfulness; these include depersonalization, psychosis, delusions, hallucinations, disorganized speech, anxiety, increased risk of seizures, loss of appetite, and insomnia (Lustyk, Chawla, Nolan, & Marlatt, 2009). Although these are real potential outcomes of mindfulness, the risk to the average person is minimal. If you keep your mindfulness practice in check and make sure not to use it as an escape, you should have nothing to worry about. The 30th World Summit took place over March 18-19, 2019 in Chicago. Click here to see the brochure for a sample of the discussion topics this year, and click here to keep up on the next World Summit. You can watch this insightful talk from Richie Davidson for more information about the benefits of mindfulness practice. This TED Talk from Andy Puddicombe is also a great introduction to mindfulness as a stress-relieving and stress-preventing tool. Finally, this TED Talk from Dr. Itai Ivtzan (whose work was cited earlier in this article) explores how we can use mindfulness and positive psychology to become “superheroes” with four super-strengths: awareness, courage, resilience, and compassion. My hope is that you walk away from this piece with a little more knowledge about what mindfulness is, why it’s an important topic, and what it has to do with positive psychology! It’s a subject that won’t be fading away anytime soon, so it’s best to have at least a tenuous grasp on it if you plan on doing any deep dives into positive psychology in the near future. Plus, the benefits are too good to pass up—and the worst-case scenario of practicing mindfulness is wasting 5 to 10 minutes a day learning how to be calmer and more relaxed. It’s certainly worth your time! What are your thoughts on mindfulness? Did we cover the connection between positive psychology and mindfulness well? Is there something you’d like to add about the benefits and outcomes of practicing mindfulness? Let us know in the comments section! Thanks for reading, and best of luck in your journey towards a more mindful, peaceful, and happy existence! Lustyk, M. K., Chawla, N., Nolan, R. S., & Marlatt, G. A. (2009). Mindfulness meditation research: issues of participant screening, safety procedures, and researcher training. Advances in Mind-Body Medicine, 24, 20-30. Niemiec, R. M. (2012). Mindful living: Character strengths interventions as pathways for the five mindfulness trainings. International Journal of Wellbeing, 2, 22-33. Siegle, G. J., Steinhauer, S. R., Thase, M. E., Stenger, V. A., & Carter, C. S. (2002). Can’t shake that feeling: Event-related fMRI assessment of sustained amygdala activity in response to emotional information in depressed individuals. Biological psychiatry, 51, 693-707. Having courage of letting go past, and future, and live fully in present moment is the real essence of mindfulness.